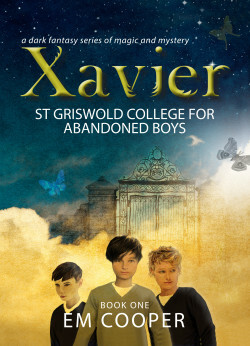 Xavier Jones is abandoned at St Griswold College deep within the mysterious Mourn Forest. As the world changes outside the school walls, evil brews at St Griswold. Xavier discovers the school and its inhabitants have strange customs and dark secrets. Everything he knows and believes about the world shifts. In a magical world teeming with angels, demons, shifters and the Darklaw, Xavier befriends Ethan, Beth and Gabe. Using their abilities and devices, the teenagers must discover who they can trust among those they meet including the ethereal Boundary Keeper, a vain messenger angel and a magical watchmaker. Together the friends journey across a country infiltrated by sinister forces. They witness the terrifying First Strike, a celestial battle between angelic and demonic armies, and Xavier learns of his destiny and a frightening prediction.